2015. What a fabulous year for the blog. I never expected all the amazing things that happened, brands, products and, above all, people I met. Just amazing; I feel grateful and privileged. If you asked me, I’d have never in my life said I’d wear black lippy outside fancy dress. During the day? Oh no. But I did, and I freaking loved it. It did something to my face, almost softening all of my other features. Did I mention I love it? MDMFlow Di La La is THE black lippy to have. After resisting that all important first purchase as I did find the makeup was on the pricey side, I succumbed after trying a few fabulous items John Lewis sent to me. Since then, I’ve added seven extra items to my CT collection. Massive big up to the Colour Chameleon Eyeshadow Pencil and even more to the Fat Lashes mascara, which is indeed a miracle worker (review coming very soon). Foundation, lipsticks, eye pencil, lip pencil, brow pencil, eyeshadows… everything is fabulous. Louboutin Rouge Velvet Matte Lipstick: beautiful inside out. I don’t think have to talk much about this one. Too pretty to miss. Charlotte Tilbury K.I.S.S.I.N.G Love bite lipstick: usually a finish I don’t go for, a kind of lustre, but oh, boy, this is pretty. An orange red, with a fab sheen, but not too much, and great durability. Charlotte Tilbury Magic Foundation: not replacing the one above but worth of mention. Nothing I try for Tilbury is less than great. Together with my faithful MAC Studio Fix, makes for a cheaper everyday alternative to the pricey Hourglass. Hourglass Ambient Lighting Edit Palette: all the highlighting you will need, plus blushers and a bronzer. Just perfect. The Balm Mary-Lou Manizer: the shade on this highlighter is just great. Not too gold, not too yellow, and its a fab multitasking – looks great on eyes. Inika Light Reflect Highlighting Creme: a fabulous product which delivers a great glow. Plus it’s vegan, organic and halal. And a special mention to my favourite budget highlighter: Makeup Revolution Vivid Baked Highlighter in Peach Lights. A bit 2014 but still going strong. Hourglass Veil Primer: reigned absolute this year. No contenders to this product; it fill all the expectations from a primer – it smooths, aids product distribution and duration, as well as making makeup sweat proof. NYX Two Timer: a great, precise, easy-to-use product with fabulous pigmentation and durability. Plus a friendly price tag. GOSH Xtreme Liquid Gel eyeliner: the finish on this product is superb, think vinyl, with incomparable shine. And it’s immovable. Urban Decay Ink for Eyes: a tiny tiny pen with extra fine nib for precision lining. Very neat. Charlotte Tilbury Colour Chameleon Eyeshadow Pencil: easy to use, great durability, fab colours. Enough said. Urban Decay Naked 2: yes, you read it right. 2. Even with the Smoky buzz this year, which I succumbed to, that old palette remains my favourite and is used daily. Charlotte Tilbury Full Fat Lashes Mascara: Definition and separation: check. Non-clumpy formula: check. Longer lashes: check. Natural volume: check. Perfect. NYX Doll Eye Long Lash Mascara: definition, fan-effect and a pocket-friendly price tag. Benefit They’re Real Eyelash Primer: what a surprise I got with this product. Separation, fanning, conditioning and a flattering brown tint that makes it wearable on its own. La Roche-Posay Effaclar BB Blur: what a great surprise this was. Its mousse consistency delivers a surprisingly good durable coverage and caters for blemish prone skin. Win. Launches early 2016. Caudalie Vinoperfect Radiance Tinted Moisturiser: good, radiant coverage, full of grape goodness and a handy SPF 20. I am sure I missed some loved ones, but these are for sure, my beauty highlights. What product was your favourite in 2015? Highlighters are a essential part of my makeup routine; on a daily basis, I always wear it on the top of my cheekbones. 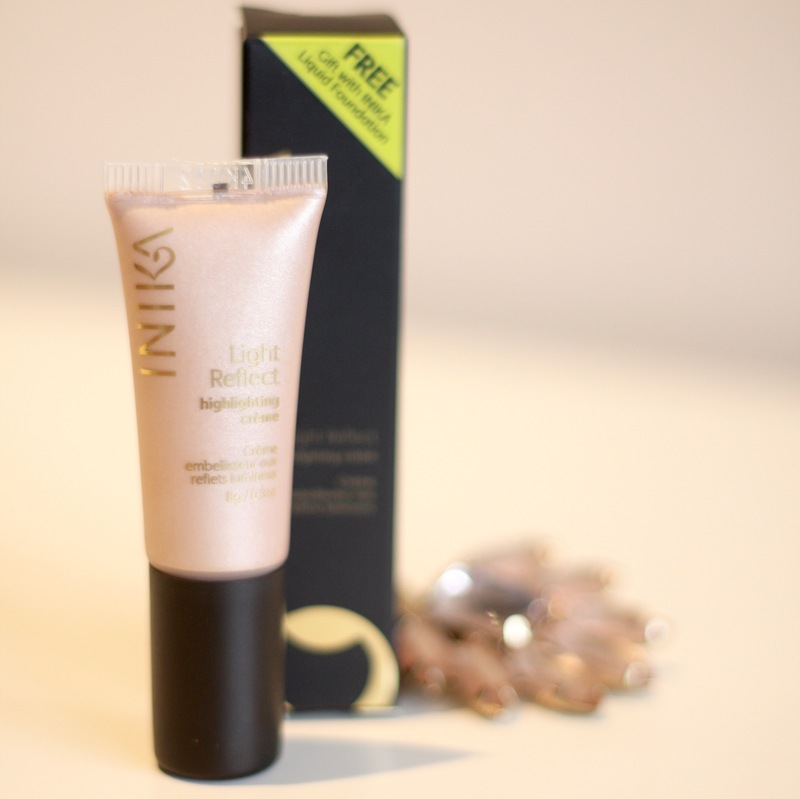 I am always looking for the next go-to product, so I was very happy to get hold of the Inika Light Reflect Highlighting Creme.